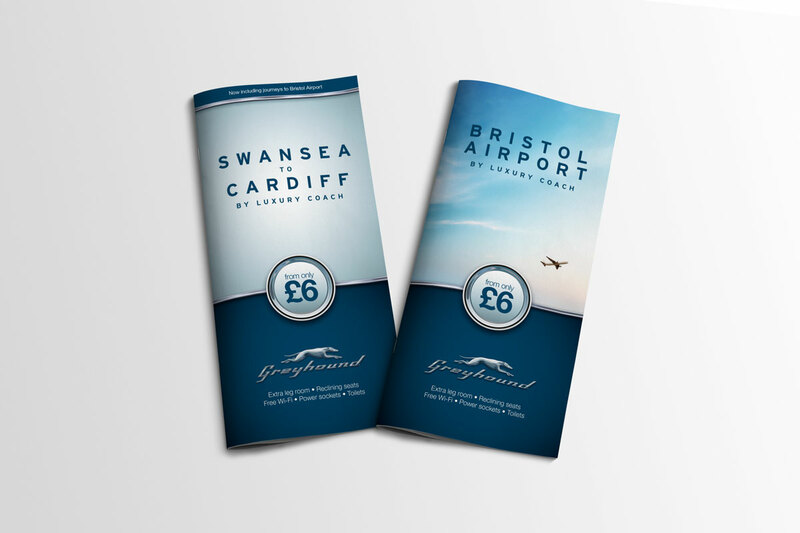 Over the last couple of months we have been working with Greyhound on a campaign to launch their new South Wales to Bristol Airport luxury coach service. The service, which currently just runs between Cardiff and Swansea, has been extended to follow the M4 over the Severn Bridge - to the University of the West of England, and then finally on to Bristol Airport. Launch date is 13 March 2013. 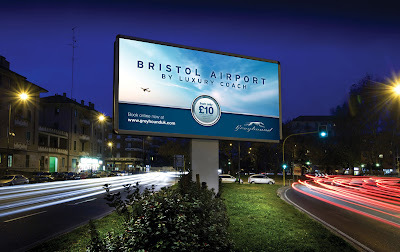 The coach timings have been devised to sync with the first and last flights from Bristol - the first coach arriving at the ungodly hour of 4.45am, and the last service departing the terminal at 01.30. Each service also benefits from free Wi-Fi, reclining seats and power sockets plus some extra leg room for the six footers amongst you. 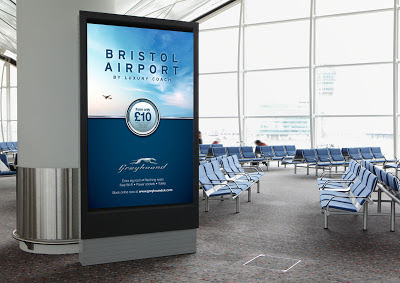 The creative, which will be executed in 48 & 6 sheets, local press, on bus, radio, online and at roadshows, is (in our humble opinion) sophisticated, stylish and reflective of the brand's American heritage. As they say in South Wales, tidy mind.